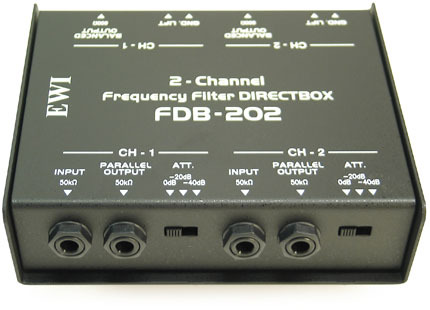 This is a real handy item for keyboard players that need to send a couple of signals to the mix board. 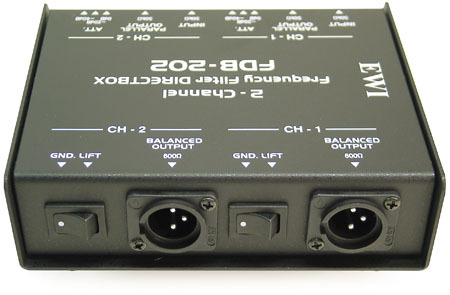 It is equipped with two ¼” jacks for put-throughs and one XLR jack for the send to the board on each of the two channels. 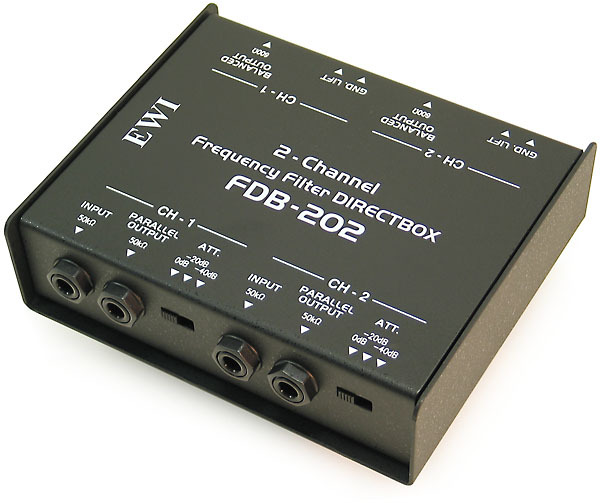 Also there are separate ground lift switches and –0dB, -20dB, and –40dB attenuators for each channel. Since it is passive, there is no need for batteries, a power adaptor, or phantom power. Of course with a passive D.I. box, there is a small amount of signal loss with the split, but it is minimal, and the electronics are clean. The box is all steel but of fairly light gauge, so it won’t take outrageous abuse. There’s four little rubber feet on the bottom to keep it from sliding around or marring a slick surface. Instrument signal splitting before the stage amps to send a signal to the mix console. 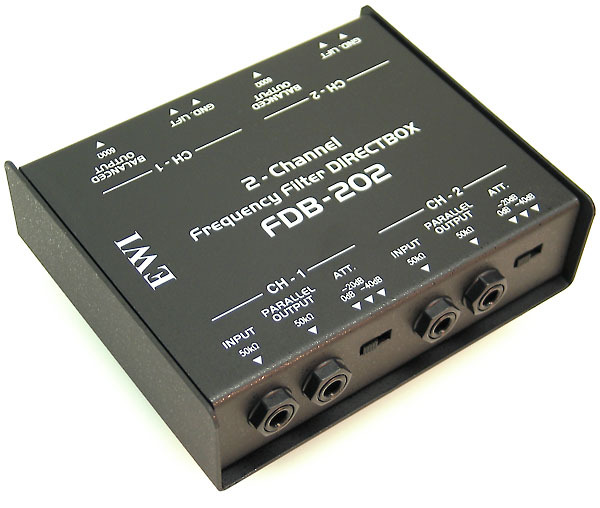 Attenuation selectable signal conversion between 1/4" TS unbalanced Hi Z signals and XLR balanced Low Z signals. Ground lift rocker selector switch: On/Off each ch. Warranty: 3 years covering mfg. defects.